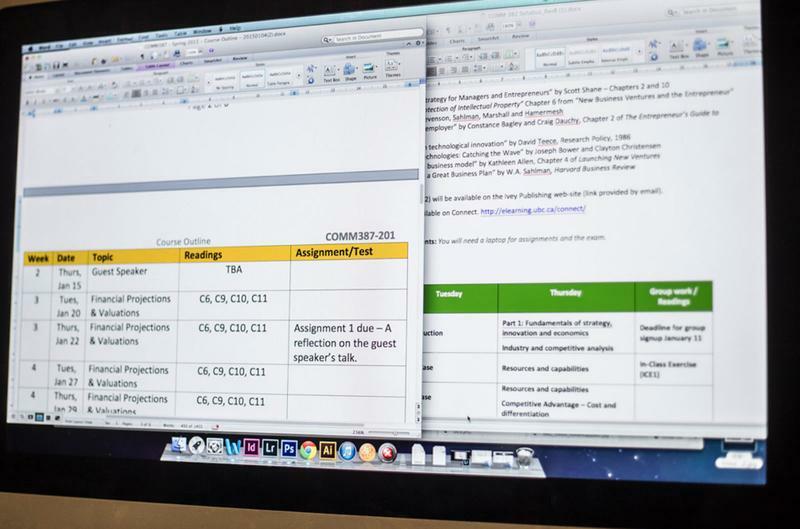 UBC’s Senate is working on a policy to mandate a syllabi for each course, and to also create some guidelines and regulations for what should be included within a course syllabus. According to the draft of the policy, it would apply to all credit-bearing courses offered at UBC, and exclude all graduate level theses and dissertations. According to Mark Bancroft, VP Academic Affairs for the EUS and member of Senate’s academic policy committee which created the proposal, it has less to do with the absence of syllabi and more to do with its quality. Bancroft noted that because there are no guidelines in regards to grading schemes, changes to course syllabi and required readings and assignments, there have been situations in the past where professors have changed the content of courses midway through or students have not known how they were being assessed. One thing that Bancroft hopes the policy will address is setting guidelines on how changes to syllabi can be made. According to Bancroft, the Senate committee in charge of this proposal has reached out to various student groups such as the AMS and other undergraduate societies for feedback. While the results of this consultation process are not yet available, Harrison said he has heard some opposition from faculty members. Harrison added that there have been some concerns about requiring a list of topics or learning outcomes within courses. He also noted the outcome of the policy will be greatly influenced by the feedback received. “We’ll probably have to have a few rounds of discussion about the feedback before we are able to see what sorts of overarching messages come out of it and how we might modify the proposal,” said Harrison. The academic policy committee will be accepting feedback until the end of the day on November 15. Feedback can be submitted via email to stephanie.oldford@ubc.ca.